Dash Media Beauty pageant Entertainment Grace Oyelude Miss Nigeria Meet first ever miss Nigeria, now 86 years old..
Meet first ever miss Nigeria, now 86 years old..
Grace Oyelude was born in Kano to James Adeleye Olude and Marthan Dantu of Isanlu from Kogi State, and was raised in Northern Nigeria. She had her primary and secondary education between 1940 and 1952 in Kano. Mrs Grace was crowned Miss Nigeria few months after She gained admission to study Nursing in Ashford, England. 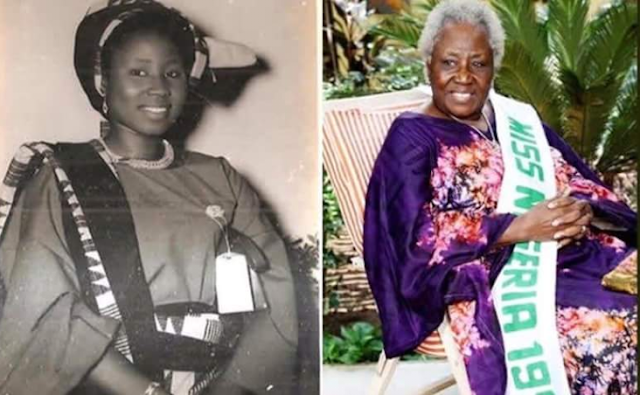 0 Comment to "Meet first ever miss Nigeria, now 86 years old.."